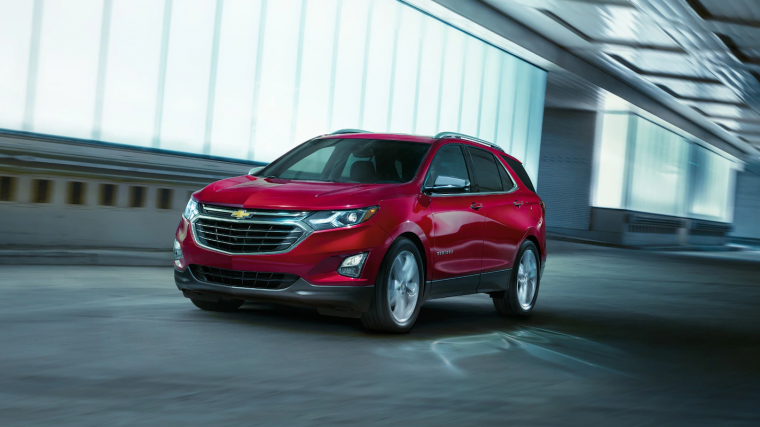 According to WardsAuto, the 2019 Chevrolet Equinox provides one of the best user experiences among new or redesigned vehicles. In order to appear on the 2018 Wards 10 Best UX list, a vehicle’s voice control systems, phone pairing, navigation, touch screens, and other features need to be intuitive and easy to use. For this year’s list, WardsAuto focused on the Equinox’s Premier trim, singling out several features that make the crossover easy for drivers to interact with. Dare to Compare: Should you choose the Chevy Equinox or the Ford Escape? The voice-activated systems offered inside the Equinox are easy to access and use via controls on the right side of the steering wheel and a small, easily reconfigured TFT LCD screen located in the instrument cluster. The steering wheel’s left side offers buttons that control the Equinox’s driver-assistance features. The Equinox’s touch-screen infotainment system includes crisp new graphics and maps. These detail outside weather conditions in the area and along the driver’s intended route. OnStar 4G LTE Wi-Fi and a wide variety of Chevy MyLink apps can be easily accessed via the same screen. While the Equinox offers numerous touch-screen functions, it retains traditional, easy-to-locate buttons for the climate control system. This means drivers don’t have to search through a menu in order to heat, cool, or defrost the vehicle’s interior. Located below the infotainment screen, the wireless charging system provides an easy way for the vehicle’s occupants to keep their devices juiced up. Above the wireless charging system are a couple of USB charging ports and an auxiliary port. Two additional USB charging ports can be found in the Equinox’s second row. 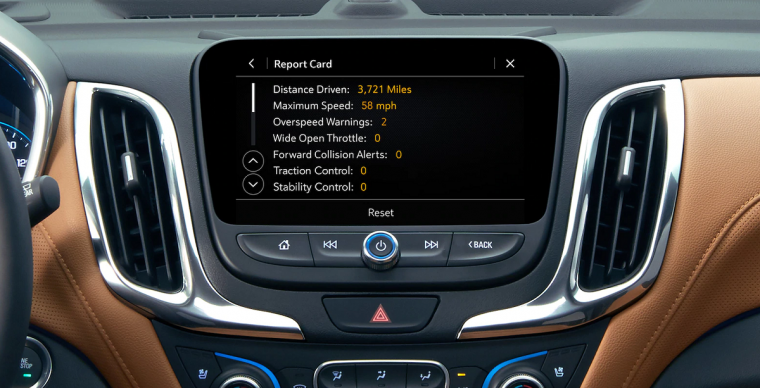 With these features conveniently at hand, the 2019 Chevrolet Equinox equips drivers for a safe and intuitive experience behind the wheel.